I live near Wood Green. It has shops so it’s convenient go there to get shopping. This means it can also be really busy, pandemonium even, particularly on a Saturday afternoon. And until recently there wasn’t even a single decent boozer in which to seek refuge from the shopping hordes. 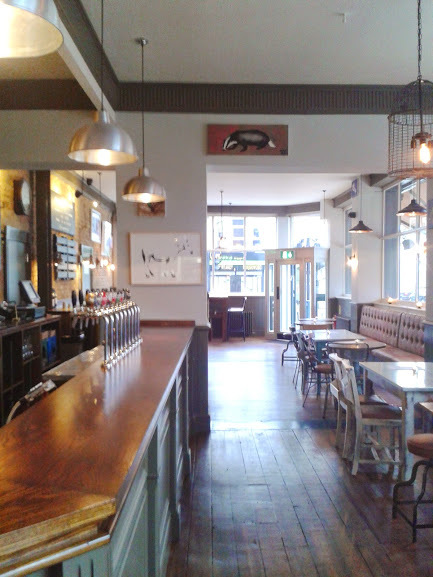 Until this month, that is, when the revamped former ‘sports bar’ The Westbury opened its doors. Situated on the corner of Westbury Avenue and Lakefield Road, The Westbury is now co-owned by London Village Inns (owners of The Brownswood, The Wrestlers and The Jolly Butchers among others) and Punch Taverns (boo, hiss etc.). It’s fair to say Wood Green is a run down part of north London, and the issue of gentrification is emotive; it’s easy to be conflicted as both the positives and negatives are evident. 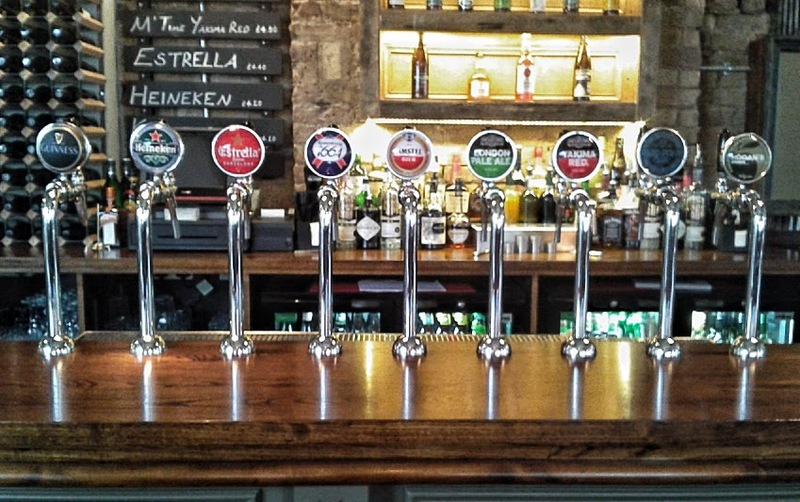 But there seems little doubt that some renovated, re-branded or reinvented pubs have taken a decision to charge inflated mark-ups for ‘craft beer’ – how else to explain a difference of a pound for the same beer in the same town but in different pubs? 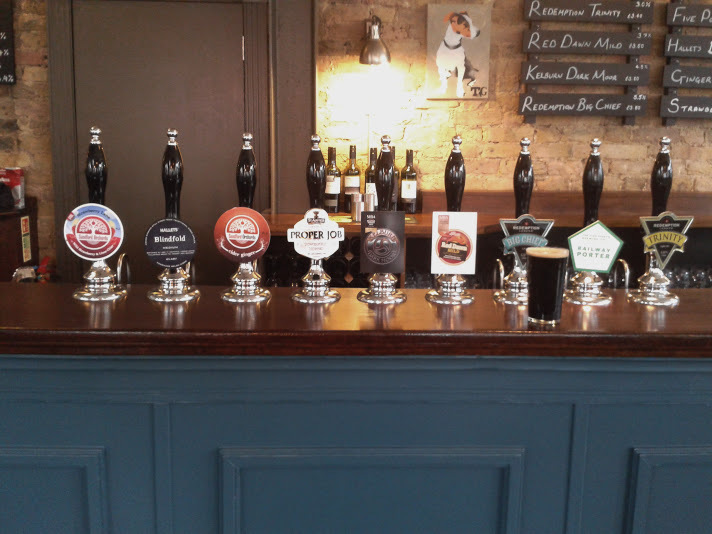 Others strike a balance, however, and seem able to sell quality beer without pricing out locals (as anyone who’s visited the Railway Tavern in Dalston will know). In any case I hadn’t been to The Westbury in its previous incarnation but I was keen to see this potential beacon of quality beer in N22 for myself. 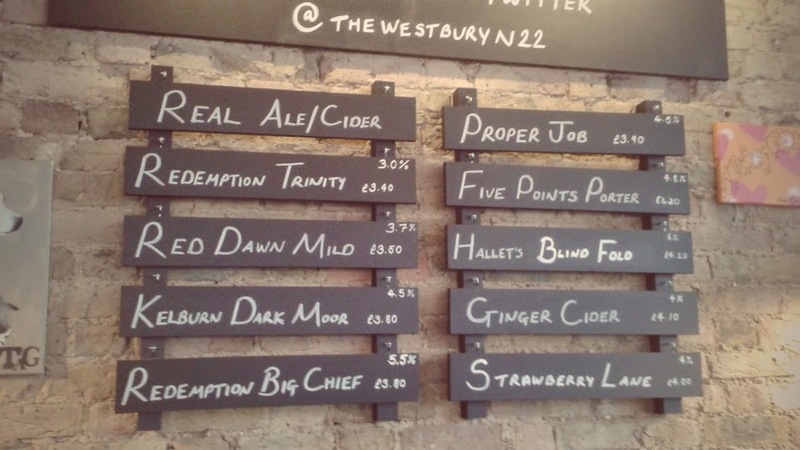 These prices, along with what nuggets of information I could glean from eavesdropping on conversations between punters and staff suggests they have got it right at The Westbury – they are true to their goal of championing fine beer but not at the expense of alienating loyal patrons. Maybe teaming up with a Pubco was required to make this achievable? They also do food, and I understand there are plans for a regular curry night and a ‘Wings Wednesday’. Furthermore they have a policy on children in the form of a 7.30pm curfew, a relief given that a friend of mine couldn’t get a seat at a table at sister pub The Brownswood one Saturday night as it was reserved for a children’s birthday party! With all of this in mind I reckon I’d go back to The Westbury for sure. I’m not sure when I’ll next find myself in the middle of pandemonium, but whenever I do it’s reassuring to know I have a beery refuge in The Westbury. I’d still happily pay upwards of £4.20 for a pint of cask Railway Porter, and that’s down to personal values and circumstances. But given the “political” slant to my original post John had a point. This entry was posted in Beers and tagged Five Points Brewing Co., Haringey, Redemption Brewing, The Westbury, Wood Green. Bookmark the permalink.